This week I've decided to take part in The Ordinary Moments linky. Put in place by one of my favourite bloggers, Katie. As Ava grows I want to remember these little moments that I'd otherwise forget. 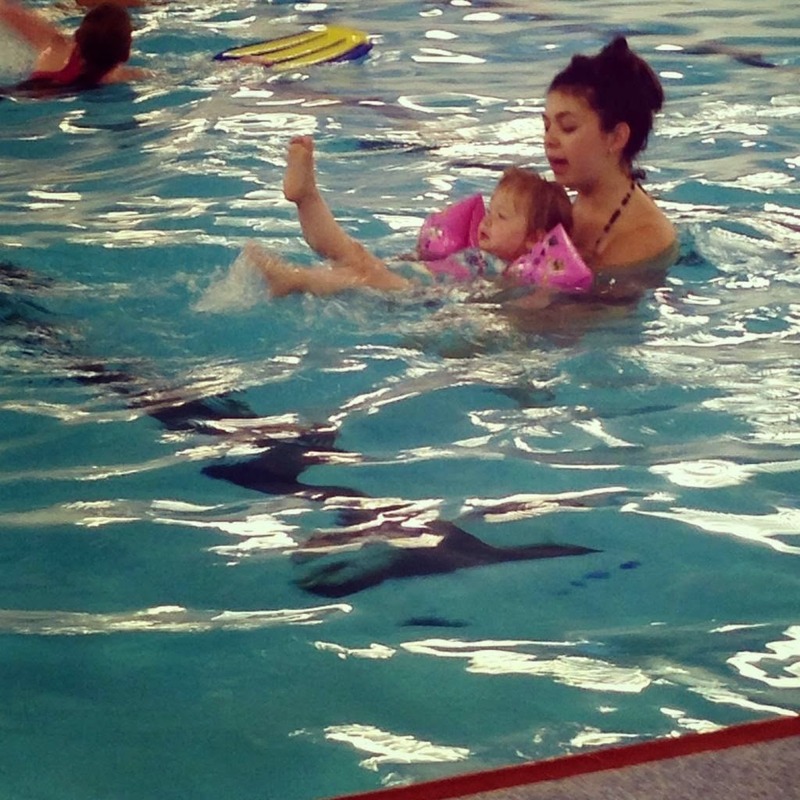 This week a little milestone happened for Ava, on Friday she had her first swimming lesson. It's something I've wanted her to do for a while but a few weeks ago Nath's auntie said she was going to start lessons for toddlers so it was the perfect opportunity. She's been for a splash about with us from a young age but I think that learning to swim is SUCH an important skill to have. There was only Ava and another little boy in her class so they had a one to one lesson which was great. Ava was so happy in the water. She grinned from ear to ear and giggled the whole time. It was lovely to see. She's already quite confident in the water, having been used to the pool from a young age. I'm pretty sure she'll pick it up quickly. I can't wait to watch her grow with confidence and progress in the water.